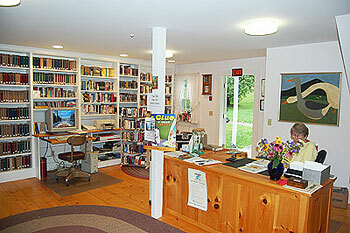 The South Londonderry Free Library is transitioning to a new website. Please click PLEASE CLICK HERE to visit the new site where you can access our collection of books, movies, and audio books. 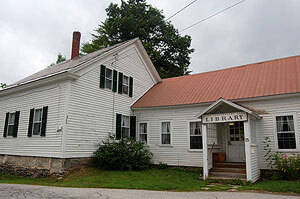 The South Londonderry Free Library has completed bar coding the 10,000 plus volumes in our collection. You can access the catalog of books by clicking here. 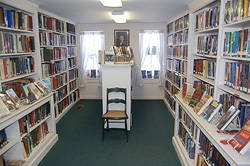 There are art books, cookbooks, gardening books and the classics – biographies, mysteries, historical novels, bird, nature, and science books, books about philosophy, photography and travel, and an outstanding Vermont collection. If there is a book that you want that is not on our shelves, we will try to get it for you via inter-library loan. The South Londonderry Free Library was first organized on a cold February night in 1902 at the home of the Honorable and Mrs. Addison J. Cudworth, now the Solo Restaurant. Judge Cudworth authored the History of Londonderry and it is still a prized possession on our shelves. 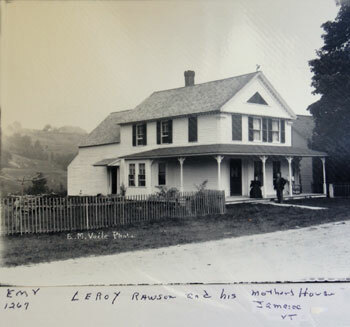 Over the years the library evolved from a room at the Cudworth’s house to the Sifter Building and then to Lizzie MacAllister’s residence, the library’s present home – located at 15 Old School Street in South Londonderry. The library offers free internet access, special programming for children and adults, and on-going art exhibitions with local artists. Currently there are 5 computers with internet access. The library purchased a router that enables anyone with a laptop with a wireless card to have free Internet access anywhere on library grounds. Available for circulation is a compact disc of the Londonderry Sifter from 1884-1923. The “Sifter” was a weekly newspaper that was written and published in South Londonderry during those years. 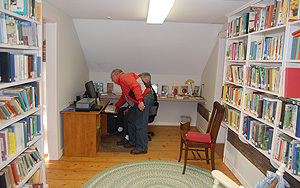 Thanks to David W. Morgan for viewing the microfiche and copying articles from the Londonderry Sifter and putting it on computer disc.